I am new to this game but already fell in love with it! I want to start a tournament because I think that will be a lot of fun for all of us!! When I get enough approval, I will start making more detailed plans and display them here! You might want to contact http://devgaming.net/ - I know they're looking to revamp their website and get their FS tournament going again - they just need someone to act as tournament admin. Thank you for showing interest, tell your friends about this idea, spread the word! @whisky_bravo I did plan on having some diversity in the different game modes!! first tournament layout, what do you think? --> rounds to end of march have to be noted in case of equal points! -top 8/16 players advance-->best against worst, second against second last, etc. -24h after release of times, the match has to be started and another 24 hours later the game has to be completed! If anybody got some kind of sponsor let us know!! If this tournament gets popular maybe the 2nd time there will be some sponsors and some neat prizes!!! Last edited by MatterOps on Sun Aug 12, 2012 1:28 am, edited 1 time in total. Please, tell your friends about this and spread the word!! I'm signed up right now in the Challonge tournament, but then I realized that you may not have been around for the DGL tournaments, and I figured I'd come in and verify some things. 1) The 3 matches have to be Dark Disputed, Light Secure, and Dark Charge. 2) If your opponent does not play your matches, notify Meneth. 3) You have to use your FS nick in the tournament. If your DG username is different from your FS username, you have to fill out the FS username field on your profile. Remember that FS usernames are case-sensitive. 4) In case of draw, do a rematch. Post results once all 3 matches are done. 5) Matches are to be done on UK1 only, to make it easier for participants to find each other. This rule is of course moot once the servers have been merged. You don't have to stick to those or anything, but there is one very important thing: no extermination, and no hostage. The extermination game mode, by its very nature promotes defensive and boring play. That, plus its often-random starting positions make it of absolutely no interest to me, and I won't play in any tournament that uses extermination. Hostage is an awesome game mode, and I love it, but it's pretty weighted in favor of the rescuers, so it's not very good for tournament play. That said, I don't care much about the rest (though I would suggest doing traditional seeding using player ratings - Challonge should take care of a lot of that for you as long as you order the players correctly). I prefer Swiss to elimination, but sometimes elimination is better with online tourneys, as the less-interested players get weeded out more quickly. I'm guessing that it would be better to have more than one game between opponents per-round, but that doesn't bother me too much, I'm willing to try whatever. A one-game-per-round light charge tournament (or whatever non-extermination game mode you pick) sounds fun, too. I've been toying with the idea of getting back into FS more seriously, and this seem like a good reason to do so. I'm looking forward to it! I would like to also vote for removing extermination and hostage from the mode pool. Unless you have explosive units, Extermination favors very defensive play. Once you have a unit lead you can just turtle with all your units in some corner of a building and the enemy has no chance to kill them for the rest of the game, as moving units are at a disadvantage to stationary units. Disputed is very similar to Extermination, but as crates spawn after a few turns, you can't hide your units and still win. Thank you for that post, I will take it in consideration! I totally agree with you on your opinion of Dark Extermination and Hostage! I think for the first tournament a Elimination-Tournament is good to get people interested and then we'll be able to see the size of the playerbase that are attracted to FS tournaments! Other then that, the rules have to be determined in detail, I will get to that as soon as I get the chance to do so!! I wanted to hold a vote on different game modes and then see what game modes make it. Those will be picked randomly for the different rounds. Thank you for your feedback folks!! We would only need to vote on Dark/Light modes. 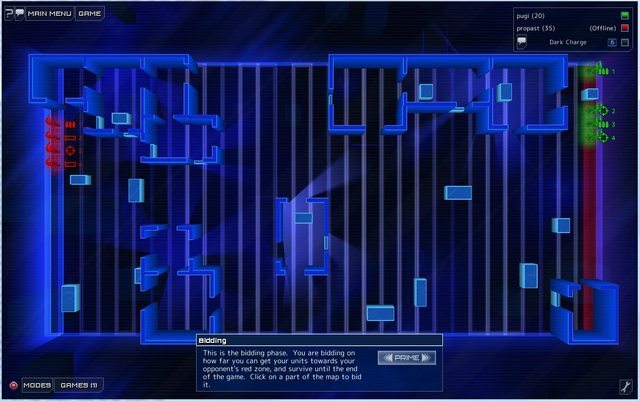 I think back in the days of the old tournaments we chose Light for one because the Dark mode had a hard 16 turn limit and the Light mode only 8 or something like that. Regardless I wish you best of luck for this tournament, I look forward to seeing the results! FYI, I'll sign up for those other forums if it's absolutely necessary, but the chat room is generally about the only part of the community that I pay much attention to. I found this forum post via the link on the Challonge page, which Paul linked to on Twitter.